Enjoy a Healthful Festive Table... and a naughty cocktail on the side. 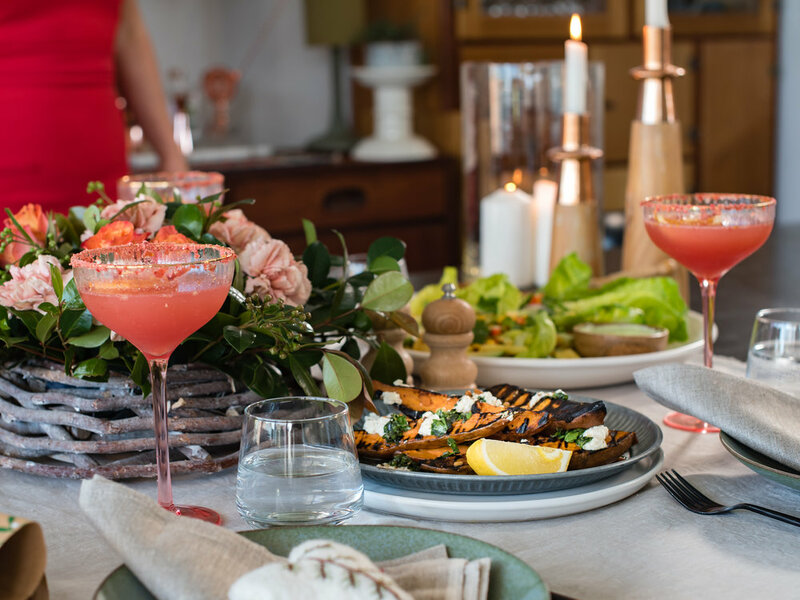 Christmas is the most wonderful time of the year and Kristen and I wanted to show you how we celebrate at home by sharing these healthful recipes and some simple styling ideas. We'd love to see these dishes delivered to your family tables so, should you feel inspired to cook them make sure you send through some images via Instagram @kateflowerfood . Scroll to the bottom of the page for all the recipes and to book for our February Workshop. Our entire Christmas menu was filmed by Today Tonight and all the recipes are posted in detail at the bottom of this page so that you can prepare a colourful, healthful Christmas meal this year. Enjoy! I'm a food stylist, recipe developer and consultant with 25 years under my belt in the hospitality and creative industries. I have three children, three velveteen rabbits, a dog, and a husband. I'm stupidly busy all the time, but I prioritise getting decent food on my family table and love sharing a great meal with friends. The washing and cleaning, however, is a never up to date and I drink too much wine. You can't win them all. I’m a passionate whole food educator, recipe developer and low-tox living advocator, but it took me a few careers before I followed my heart and found my ideal job. I have two children, both boys, and a husband (aka the BBQ man), Pedro. I run at a million miles an hour, but when I have free time, you’ll find me at the beach. I am a Libran, so I believe in balance, and definitely enjoy the occasional cocktail (or two). Book now to enjoy an afternoon with Kate and Kristen in February 2019. This would make the perfect gift for a foodie or someone who is ready to expand their horizons. 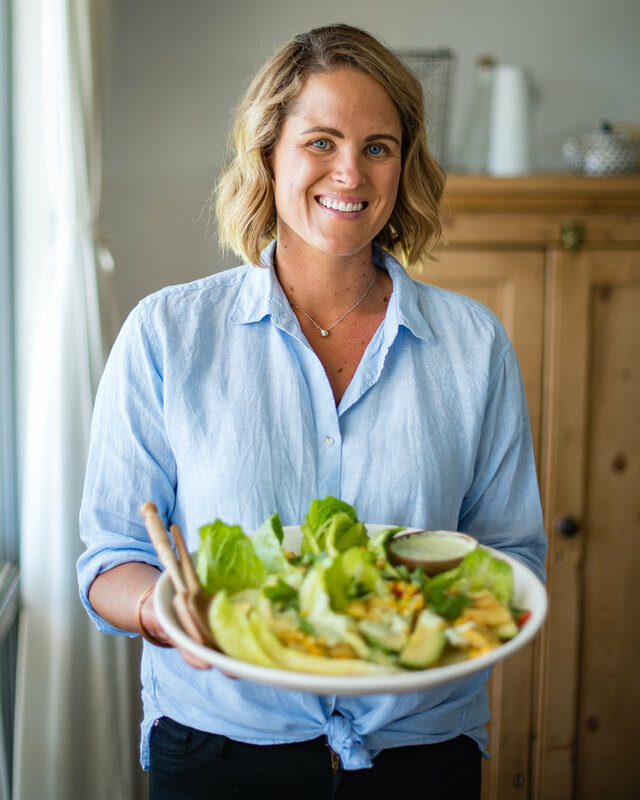 Whole Food Educator Kristen Pavez and Food Stylist and Recipe Developer Kate Flower team up to delivery a unique afternoon workshop bringing fresh ideas to your table. 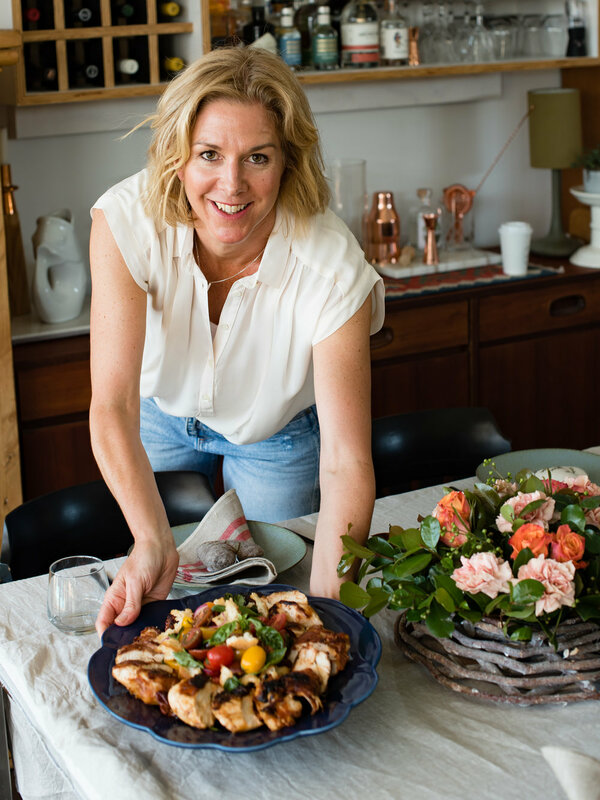 Would you like to build on your repertoire of healthy enticing food, with recipes that are flexible enough deliver to the family table or dress up for easy entertaining? Join Kate and Kristen and..
Join in the conversation around healthy eating habits. Learn new techniques to lift your cooking and presentation to the next level. Help create a beautiful, healthy grazing platter...and demolish it. Take home tips for approaching family eating in a healthy manner. Enjoy a glass of wine and samples of the dishes as you learn from two food professionals. Bring the gang and make an afternoon of it. These individual desserts are perfect to take to friends or families homes. Just make in a jar, pop the lid on and finish off with the berries and shortbread when you arrive. Pretty as a picture. From the BBQ plate to the table in moments, this simple healthy vegetable dish will sit perfectly next to your Christmas Ham, Chicken or Turkey. Coz, Charred Corn, Avocado and Pineaple Salad. Summers bounty all wrapped up and dressed to impress. A fresh little cocktail to heighten festivities. While not a traditional Christmas dish this BBQ chicken and Panzanella has all the right colours and flavours for summer festivities in Australia. You could certainly try something similar with a stuffed Turkey roll. I love the fact it can be cooked outside o the BBQ and the salad thrown together in minutes. More time for enjoying the company.